Are you ready for the next level of Understanding Glazes? 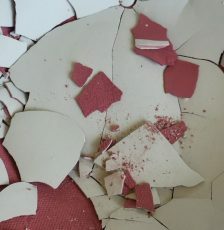 This class is a level 2 class of my Understanding Glazes series. 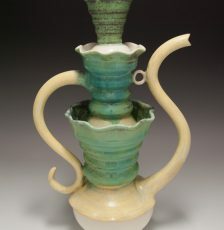 In order to take this class, you must have already taken the first class, “How Glazes Work”. 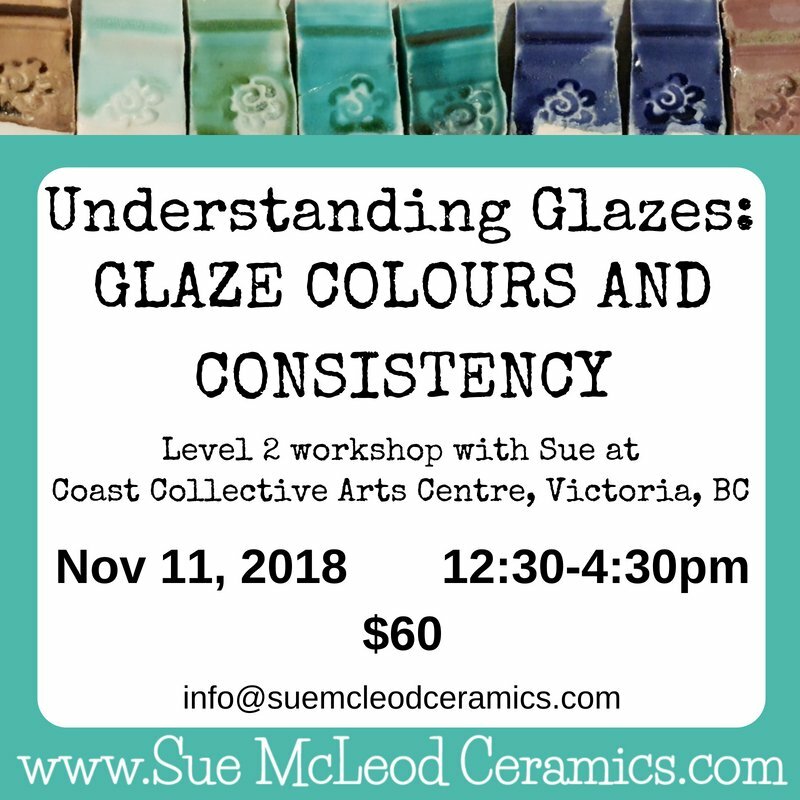 I have teamed up with Coast Collective and will be offering my Understanding Glazes workshops at their Arts Centre in Colwood/Victoria. Click date to register. 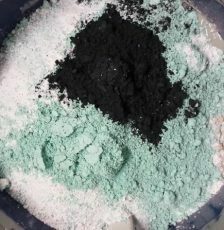 Examine in detail how colourants are affected by flux choice. 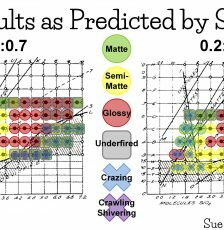 Use glaze calculation software to make flux and other material substitutions. 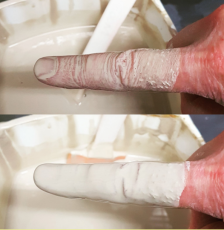 Learn how and when to flocculate and deflocculate your glazes. In this class, we will review the basic concepts from the first class and then jump right into the chemistry of colourants. Our flux choice has a big impact on how the colourants react. You can get different shades, tones and even completely different colours from each colourant. I’ll display fired examples of some of the possibilities. 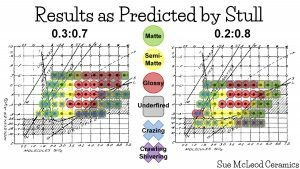 Then we will use glaze calculation software to take a recipe and substitute one flux for another, while keeping the basic chemistry of the glaze the same. You’re welcome to bring your laptop or mobile device and follow along (not required). The second half of the class will be about specific gravity and viscosity. Measuring and maintaining a consistent specific gravity (water content) for each of your glazes is one of the most beneficial practices you can adopt in your studio. It takes the guesswork out of how much water to add to each glaze. I’ll bring all the necessary equipment and a couple buckets of glaze to demonstrate how to measure specific gravity. Then we’ll adjust viscosity by either flocculating with Epsom salts or deflocculating with Darvan. 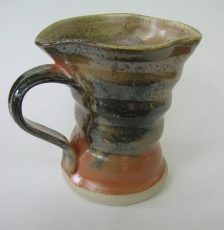 The result of this practice is consistent, predictable glaze results.